Great review! This was very helpful to me! Thanks! For a certain kind of person the 240 is an amazing bag and I just wanted to throw my 2 cents in! I love mine to pieces, it just depends on how you view the features. I travel a lot in Africa for work, and the 2 buckles and the zip are a great security feature that I really appreciate. If I want faster access I can leave the straps unbuckled, and still keep the bag zipped to stop wondering hands. The size is perfect as both a carry on and a fieldwork bag (I work in environmental science, primarily forestry so I’m off in the bush a lot). 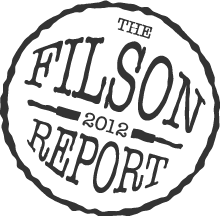 Yes there may be Filson bags better suited to one specific thing like the 257 but I find this bag to be a great jack-of-all-trades, default everyday go-to bag – which for me could mean city commuting carrying paperwork and my laptop as well as my rock climbing gear for a quick lunchtime session, or going grocery shopping, or going to lunch with friends (I’m the one who always has a book, a first aid kit and water at all times so I appreciate the space) or trying to engage with local chiefs at a stakeholder forum hosted a day’s hike from anywhere. 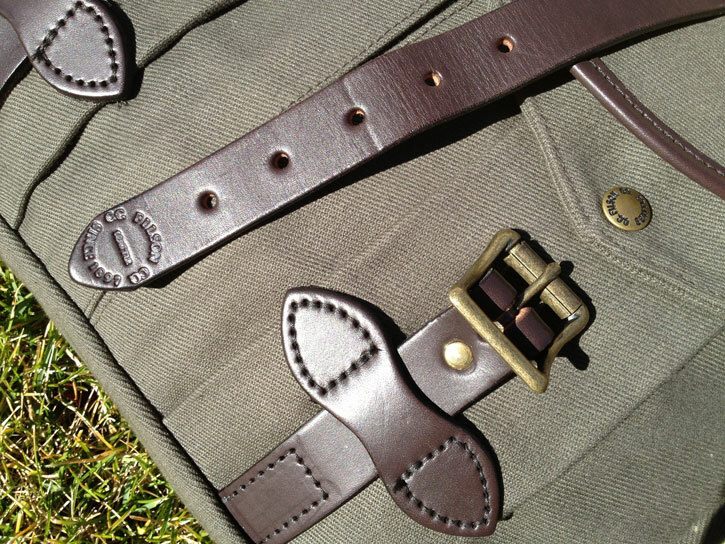 It’s equally at home being slung around buses and bikes and horses and as with all Filson stuff, the quality speaks for itself as soon as you park it in a more upmarket setting. The back pocket holds a kindle or magazines/journal papers perfectly. The 232 does have the end pockets, but you loose some flexibility by not being able to open the main bag compartment the whole way (certain bulky items or large laptops don’t fit or fit easily in the 232. The attachment points for the shoulder strap are low, and it can feel awkward on one shoulder, but it was designed to be worn cross body and then it fits like a dream, even when fully loaded. I got my strap exchanged for the longest one available when I brought mine (I’m 6’2) and it fits me perfectly. 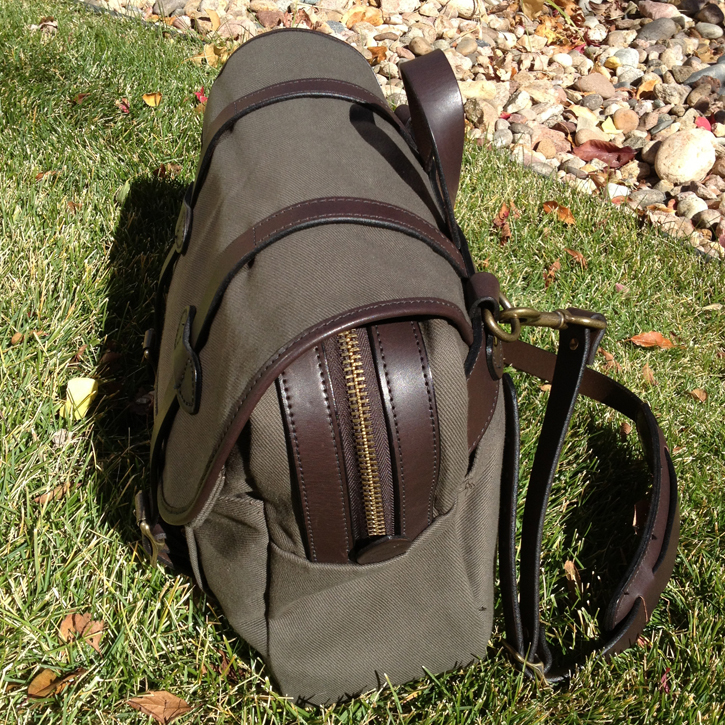 Filson no longer makes this bag but I was fortunate enough to get my hands on one and I love it. The added security of having a zipper is a wonderful feature. In situations where I want to access the compartments frequently I leave the buckles and the zipper open which allows for quick access to my jewels. When I want the bag secured I simply zip the zipper and close the snaps and buckles. It is nice to have the option of security and easy access all rolled into one nice bag. 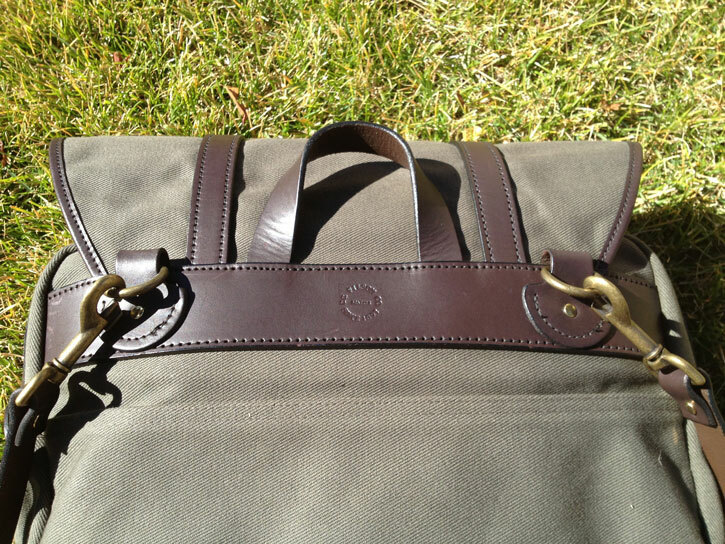 Also the zippered bag gives you that much more exposed leather which is really what makes a Filson bag so beautiful. Thanks for your comment, Dale! 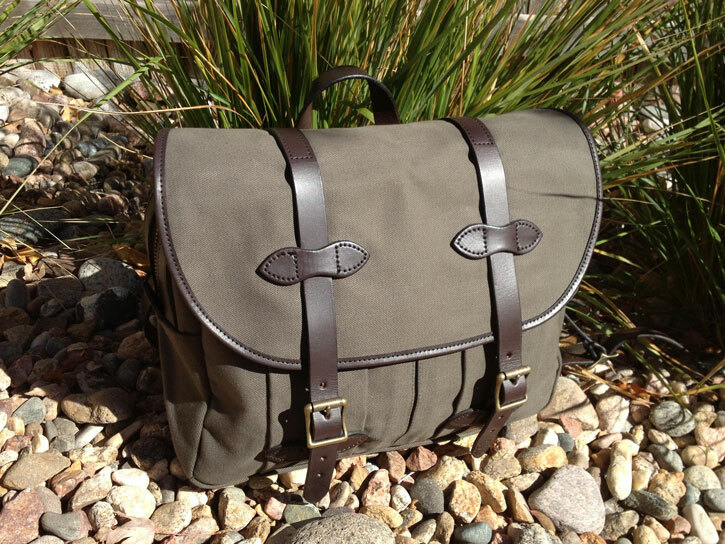 I am glad to hear you are enjoying your Carry On…it is one of my favorites as well.